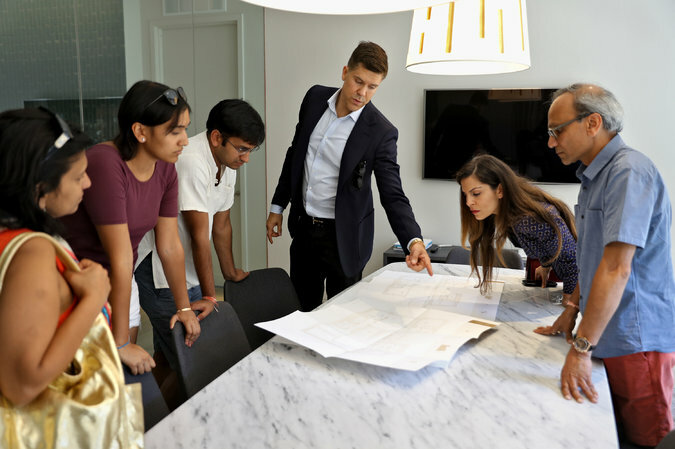 Mr. Eklund at an appointment to discuss a property. On Sundays, he walks to his meetings instead of driving. Mr. Eklund taking a juice break while working. Mr. Eklund says he tries to “disappear within the city” on Sundays.